Change by sword or hug…or both? Last week I had the great privilege of hanging out with uncompromise (aka Cameron Burgess). We did some work together with the School for Social Entrepreneurs around organisational architecture, or how to design your organisation to achieve maximum impact. I love Cameron’s passion and drive in the world – his energy is really contagious. We were talking about our different approaches to change-work and he shared an analogy of ‘change by sword’ versus ‘change by hug’. This is grossly simplifying what was actually a beautiful wisdom story of a monk, which I can’t seem to recall right now. We talked about how Cameron often takes the role of the sword, and uses his intellect and sharp tongue to cut right through issues and get straight to the heart of what is happening for people. His experience with hypnotism has taught him that sometimes it is critical to be sharp like this to break through people’s resistances. In our chats this seemed to contrast with my more soft (or feminine perhaps) style of operating. I loved the conversation because the way he spoke really triggered some things in me and showed me aspects of myself which I was challenged by. When we got around to running our workshop on the Tuesday however, things seemed to flip. 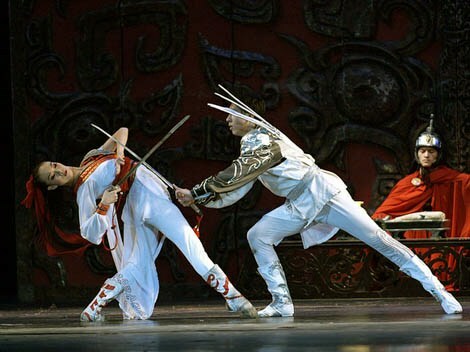 In our workshop we seemed to play this dance where we were able to tap into both the sword and the hug approach. Funnily, he started off with this soft meditation and then ‘threw’ to me. Despite my tendency toward the soft approach, here I was being quite direct and to the point. I love the balancing that we were working with. Fast forward a week to today, where I had a conversation this afternoon with katemural (aka Kate Ettinger, of the Mural Institute). Kate is an ethicist and we were unpacking social media ethics over skype – me in Sydney, Kate in Berlin. I shared the analogy above with her to see what she thought. Kate had recently experienced an ethical dilemma which required pulling her sword out. I asked her which approach she saw as more effective or preferable. Kate said that the best way is to “use the sword in the context of a hug”. I thought this was a beautiful little addition to our analogy. To Kate, the master swordwoman (or man) is able to powerfully cut through layers of confusion and limiting thinking, without cutting the person. This is the context of the hug, and together they come together in a kind of dance. The hug allows us to hold people in a place where they are safe and nurtured, so that the sword can come in weave its magic to cut through these layers. The change agent is the sword-dancer, masterfully holding and nurturing people while cutting through to a place of greater wisdom and clarity. Thanks Kate and Cameron for sharing this wisdom with me. As always, Benny, any intersection with you in this work that we do is an experience to be savoured. As I believe I said at the time (in quoting the Vedas) – ‘jnana (intellect) and bhakti (devotion) are like two wings of a bird – you need both to fly’. My presumption when presenting or facilitating a session is that people have some idea of who I am. If they have taken the time to be familiar with me – if only to read my bio – the one inescapable fact is that I have been engaged with this work for a long time. In short, it should be self-evident that I care. As it is with you, Benny. To that end, I agree that we need to be wield the sword with compassion. However, if you are working to facilitate a more just, equitable, sustainable and loving world and you’re going about it in a way that takes precious resources away from others that are doing it well, beware! Hey Cameron, thanks for that extra dimension to the story…and the analogy of the bird. I was a little slow on the uptake, at least in my head. Glad we are living this though, and thanks for your direct wisdom. Just a thought though – what is your take on abundance? I totally get the whole inefficiency and wastage thing that can be found out there, but is this really ‘taking away’ from the resources of others. I often hear around the do-gooding world that we are somehow limited in our resources, rather than abundant. Any good entrepreneur knows how to use their creative powers to access and manifest the resources they require to build their dream. I see you doing this…manifesting and creating. What is your take on that? Ooh .. the unicorn of abundance! For me that’s right up there with ‘do what you love and the money will follow’ (a straw poll of most impact entrepreneurs will demonstrate this to be a logical fallacy). When one uses less than what one has in order to do what needs to be done, that is called abundance. To have to find more than you need to do what needs doing places a burden on your time and resources and the time and resources of others for no gain whatsoever. Minimum input – maximum output is a fundamental principal of sustainability. The extent of our social, environmental and economic challenges are a direct consequence of our inability to recognise and operate within a finite set of resources. The unicorn of abundance has individuals and organisations working for change often perpetuating the very behaviour that resulted in the conditions they are attempting to mitigate. To say this is abject foolishness is to (perhaps uncharacteristically) restrain myself from saying what I really think. well gentlemen, I very much enjoyed the post and the thread. One dimension that can also be reflected on is the ability of the ‘master of the knowledge of the sword and the hug’ to be able to not only utilise it, but also be able to transfer this knowledge as either an introspective tool for the student, or for them to be able to utilise the knowledge in the same way. I agree on the sustainability and abundance too. To teach and impart sword/hug/abundance is to almost pass on the art of dance, as the new changemakers learns to see, thread, change and adapt to each challenge as it approaches, is lived and is passed through for minimum input, maximum outcome/output.